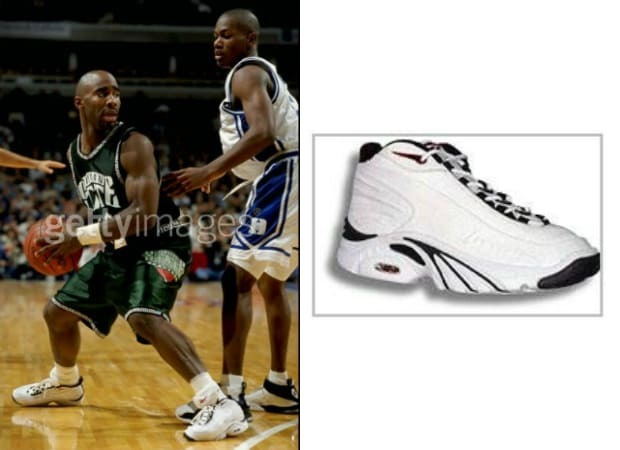 Iverson's third Reebok kick and second in The Answer series is one of the hardest shoes to find from AI's line. Nicknamed the Answer Lite, the sneaker used Reebok's DMX technology but the tech was covered on the bottom, unlike on the first Answers. They dropped in white/black, black/white, white/gold, and white/camo — the camo joints were only for AI.